I've been keeping this to myself for a while now, but as of 28th March I will be starting a 'Fashion Stylist Portfolio Course' at the London School of Styling, run by esteemed stylist Carly Brook. I'm always looking for ways to improve my skill set, and hopefully this is just one step closer to making my dream job a reality. I'd been thinking about doing something like this for a while, it all started when I got a comment on my Instagram that praised my talents as a stylist, something I'd never really thought of before. It's one of those things I'd just been doing without realising. Obviously I style my own outfits for my blog, but I love picking out outfits/giving advice to my friends and I absolutely love that they value my opinion when we go shopping and ask me to choose outfits for them. The number of times I've been told off by shop assistants recently for staying in the changing rooms too long, adjusting straps and inspecting fit for other girls has actually been quite ridiculous! But the absolute rocket in confidence levels you give someone when you dress them in something they end up loving is such a great feeling. The thing is, I felt like I couldn't just say 'I like styling and I think I'm actually quite good at it' and get a job, just saying you can do something isn't going to cut it. 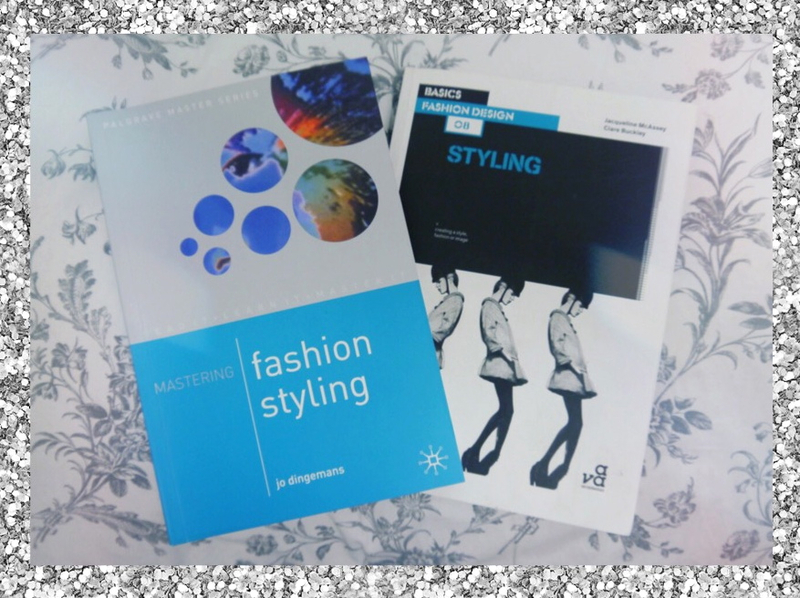 So, I started to look at ways I could achieve a qualification and found The London School of Styling. My course consists of six full day classes over a period of around three months, there are two theory sessions and four fully fledged photoshoots complete with briefs and professional models, hair & make up artists, photographers and art directors. At the end of the course, I will receive a portfolio, a ton of contacts and a diploma, so I can finally call myself a qualified stylist! I'm really looking forward to starting, I've already been reading my course textbooks (see above) and I'm just itching to get going now. I'm interested to see what my briefs will be and of course, I'll keep you all updated on social media and on my blog, posting my images whenever I can! would love to do this! good luck! The way you think is realistic and ambitious and hopeful, and we all can find a great deal of inspiration in it!